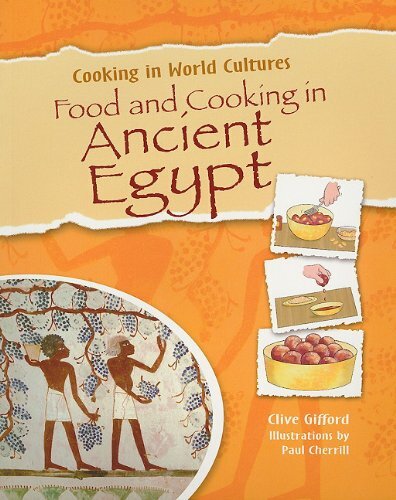 Originally published in Egypt, this ever-popular guide to Egyptian cooking has now been revised for a North American audience. Egyptian cuisine has been influenced by several Mediterranean culinary traditions, including Turkish, Palestinian, Lebanese, Greek and Syrian. 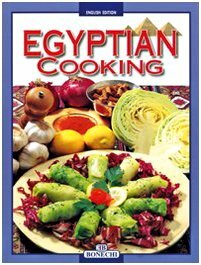 These nearly 400 recipes, all adapted for the North American kitchen, represent the best of authentic Egyptian home cooking. I grew up in Egypt and ate some of the best food one can think of in that country.My family lived for food and it's exactly how we all turned out.I bought this book because I was tired of making so-so recipes from cookbooks written by non-Egyptians or those who remember it as children when they once lived in Egypt and then went back to figure out the recipes from those willing to share.Needless to say, they miss the mark big time.This book does have a wealth of recipes but unless you're a seasoned Egyptian cook you're not going to get many of them right.On some of the spices, she was way off on the proportions.There are a few new cookbooks w/ better instructions and lots of pictures, namely "The Savory Secrets of Dodi's Home Cooking" or "My Egyptian Grandmother's Kitchen" both written by Egyptians.They seem promising based on reviews I read of them.I will be buying them today so I'll update my review with the results.I would avoid Claudia Roden's books as I think she misses the mark on spices, etc. I am very happy with this cookbook. I look forward to cooking these recipes. I have had a few Egyptian meals and fell in love with their cuisine. I've had this book for a couple of years now.This is a good book that gives a lot of Egyptian recipes made by every-day Egyptian people.I recognize many, many of the recipes as ones that are made by my husband's family.So I feel it is a pretty good source for the basics. That being said, it leaves much to be desired with the instructions, which would be difficult for someone who doesn't really know how to cook or isn't already familiar with Middle Eastern cooking.For example, the recipe for Ta'maiya, or Falafel instructs you to soak the beans overnight, then drain and "mince" with dill, coriander, etc...Now if I took that literally and attempted to "mince" those items with a kitchen knife, the result would be a disastrous effort in futility and frustration.I know that I need to "mince" them in a food processor, and not your garden variety food processor, you need a good one (i use the cuisinart), to do it, otherwise you will quickly tire out your motor, and will have to process this recipe in about 8 batches, with rest time between each (like I used to do when I had a smaller Oscar food processor).Not to mention that she does not give any indication of how finely the mixture should be minced.This is one example of where some prior knowledge of Egyptian or Middle Eastern cooking (or cooking in general) is necessary to be successful at cooking some of her recipes. The set up is also a bit annoying, with the recipes numbered, and indexed that way (the index gives the number of the recipe, maybe #198, which just happens to be on page 95. )This is hard to get used to and I can't imagine why it was done this way, unless that is the way cookbooks are written over in Egypt.Not to mention that you may have to do some running around as one recipe's ingredient list may have you running to 3 or 4 other recipes. She has a good glossary, and list of spices in English and Arabic which is helpful, as well as a list of kitchen utensils that are used in Egypt. Some of the ingredients are not accurately translated, such as "Tomato Juice" in the recipe for Tomato sauce, stewed.I am pretty sure that she is not referring to Campbell's tomato juice or V-8, instead it should be tomato sauce (like from the can), all the Egyptian people I know that make this dish use the tomato sauce from the can. Mince beef with vegetables (in this case beef, onion, tomato, parsley, S & P) twice or pound until smooth. Shape into fingers, skewer, and grill basting 1-2 times with cooking oil, or shape into round cakes and fry. I don't know about you, but I am not running out to the grocery store to get the ingredients to make this tonight! This is a good basic Egyptian cookbook.There are few of them out there, so if that is what you are looking for specifically, get it because there is little else to choose from (believe it or not, one month after I bought this on Amazon, my father in law showed up with the exact same book that he had bought in Egypt! 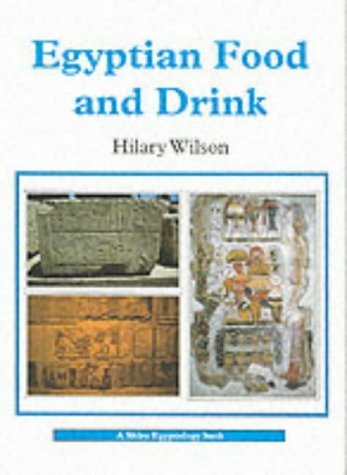 ), and this does give you the basics of Egyptian cooking.I have ordered her other cookbook to see what's in it, as well as another Egyptian cookbook that I just spotted on Amazon.I am interested to see how both of those turn out to be. If I was rating it as a cookbook in general I would have probably have given it 1 or 2 stars because of the above comments. This is an authentic cookbook, it's been around for almost 20 years, and I've happily made a variety of recipes. The instructions are brief, and helpful. The Iman Bayaldi is prepared different than the style I'm used to..and still very good. Most dishes have 6 or less ingredients...pretty easy to gather up!If it had pictures, I'd have rated it higher--it's so helpful to have the right "look" for authenticity. There's over 300 recipes. The recipes are for 4-6 persons, easy to adjust.The table of contents issparse; the index can have you running around a bit through the book. Chicken gizzards are not under "chicken" but are under "gizzards"! Beans are separate from lentils...logical, but not always intuitive...not a big drawback! some ingredients are, of course, hard to find if not near a Middle Eastern market...the internet should take care of ordering mastic grains, molokhiya (fresh or frozen),etc...Most ingredients are easily available in the USA. It has recipes for the classics, and also for brains, pigeon, rabbit, trotters, tripe, sheeps head etc...this is not a frou-frou book! Don't think this is a second cookbook by the same author! Well... first of all DO NOT click on the link to "buy these books together" (referriing to the amazon offer to buy this book and her other book "Egyptian Cooking, a practical guide") as this book contains ALL the recipes in the first edition, along with additional recipes.You will be WASTING your money as i did (I gave the first edition away, no need to keep it, for me I bought them years apart, for you it will be money down the drain or a headache with the return) Amazon should NOT be offering them together. Being that this book basically consists of the other book and then some, I will go over in a nutshell the comments i made of the other as they also apply here. Its good for the basics if you're already familiar with the cuisine.The arabic/english spice translations are helpful.Her instructions are thoroughly lacking, so if you are not an experienced cook, or are not familiar with egyptian/middle eastern cooking, you might have a hard time with the recipes as they would have benefited from a little more description. (for more on that see my review of the other book) They are written in a very matter of fact way, just mix, shape, saute.....They don't really sound very appealing.The recipe numbers not corresponding to page numbers is annoying but you get used to i (the recipes are numbered, page 1 might have recipes 1-3, page 2 recipes 4-6, page 3 recipes 7 and 8, and the index refers to the recipe number, not page number so the recipe for falafel could be recipe 6 which would be on page 2), as well as the fact that to make a recipe containing tomato sauce, you've got to refer to the tomato sauce recipe on another page (consisting of tomato sauce, salt and pepper). 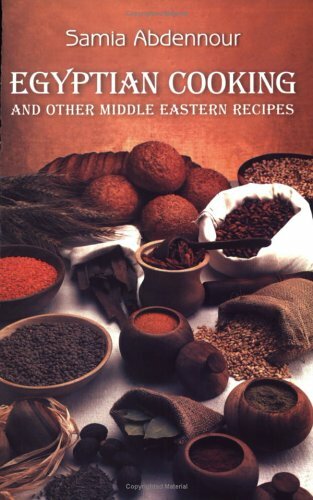 The additional recipes are not egyptian and are really not of any value to me as there are tons of other middle eastern recipe books out there that are FAR better than this one. The only reason I would recommend this book at all is that it is specifically Egyptian, and if you are even reading this review it probably means you want an Egyptian cookbook (rather than a generic Middle eastern cookbook. )If that is the case, then i would consider going with "My Egyptian Grandmother's Kitchen" by Magda Mehdawy, as she has pictures with all her recipes and at least that gets your taste buds going (oh, yeah that was also a problem with Abdennour's books, you could read the whole thing and not be all that impressed by anything).I would pair that with either Claudia Roden's The New Book of Middle Eastern Food (Five Star) or Mary Bsisu's The Arab Table (Also 5 Stars).When you want to cook something, first try to find it in one of the latter books, if you can, read the recipe, then refer to Mehdawy's book and see the Egyptian take on it.Of course Roden and Bsisu books are not going to have all the Egyptian recipes that Abdennour's has, but you will see the difference in the instructions immediately. I rated the first edition 3 stars because at the time I reviewed I couldn't find other egyptian cookbooks, Abdennour had the whole market.With Mehdaway's cookbook, (and another Egyptian one that i just spotted but havent bought yet, Abdennour has lost the sole claim on the Egyptian cookbook market, thus this second edition isn't as valuable or necessary.So i am rating it 2 stars. Are we talking about the same cookbook? When even rice pudding doesnt turn out right, after following the directions to the letter....you can safely say that a cookbook was poorly written. Simply dissolve sugar in milk, then add rice and simmer on low for 15-20 minutes? Hardly. I started out with a low flame....and was still waiting for the rice to soften 45 minutes later. I made rice pudding out of the Good Housekeeping Cookbook, and I'd much sooner make rice pudding their way----you start out with a boil (to cook the inner core of the grain of rice), and THEN reduce to low and simmer. Works every time. Ms. Abdennour should also mention to the novice, that it is necessary to stir the rice pudding continuously, or it will stick to the pan and BURN. However the word "stir" was not even mentioned in the recipe! This may seem like common sense to most, but cookbooks should be written at the level of a novice. The rice in my pudding ended up having a hard, uncooked center. And when I went to taste it (aside from the bitterly hard rice) I felt there was way too much sugar. In addition the cookbook has a strange format...the pages are numbered but the recipes are indexed not by page number but by recipe number (they are actually numbered from 1 on up) I much prefer good old fashioned page numbers---whats wrong with that? Also, the author seems to be unfamiliar with the names of certain items in the West. When a recipe calls for "gullash" this corresponds to our "phyllo dough" however the author seems to not know that we have a word for this....so she describes it as "fresh, paper thin sheets of dough at your local bakery"....gee thanks, that would help the novice cook! I know that she is describing phyllo dough, but would a novice know? In addition, I made kuftat ras al asfur. Again, following the instructions to the letter resulted in a bland tomato sauce. Some recipe instructions amounted to no more than four sentences, when surely they are a bit more complex to make and worth describing in a bit more detail. There are better Arabic cookbooks out there...I just haven't found them yet. 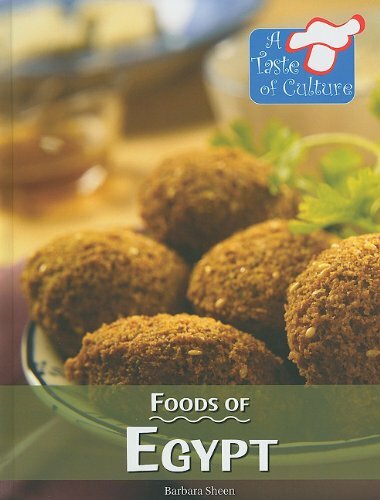 This cookbook is suited to someone who is familiar with making these dishes....maybe then they can fill in the details which Abdennour fails to mention. But then one wonders, why would these people need a cookbook in the first place? Having grown up in Egypt, I had no idea what I took for granted. Delicious stuffed tomatoes, fresh lemony salads, vine leaves, meat stews.It's such a pleasure to find a book that allows me to recreate these meals I had back at home. It's easy to follow and the ingredients are readily available here in the States.I recommend this book for everyone. First published twenty years ago, and now in a revised and expanded edition with over eighty new recipes added by author Samia Abdennour, Egyptian Cooking And Other Middle Eastern Recipes is a spiral-bound cookbook featuring classic dishes that perfectly capture the staples of Egyptian cuisine. A handful of color photographs illustrate the simple and practical instructions for creating such Middle Eastern delicacies as Falafels, Duck Pot Roast, Baked Rice With Milk, Hot Yogurt Soup, Pickled Eggplant, and so much more. 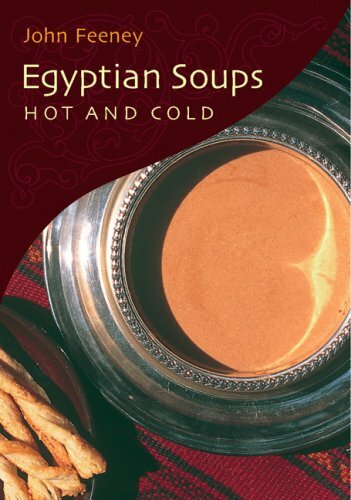 A glossary, list of common spices and cooking utensils, and index round out this "must-have" cookbook for anyone interested in savoring Egyptian cuisine. This book provides a wealth of culinary history along with tantalizing recipes, allowing the reader to understand the context of each dish. The author, Amy Riolo, has traveled extensively in Egypt, and she includes excerpts of her experiences in the book. 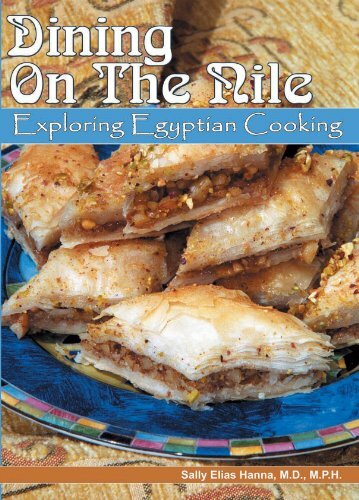 As a result, Nile Style is fun to read as travel literature as well as a cookbook. With the home cook in mind, Amy has a adapted the recipes for easy after-work cooking. I especially enjoyed learning about and cooking with exotic ingredients like orange blossom water, molokhiya, and baby okra. 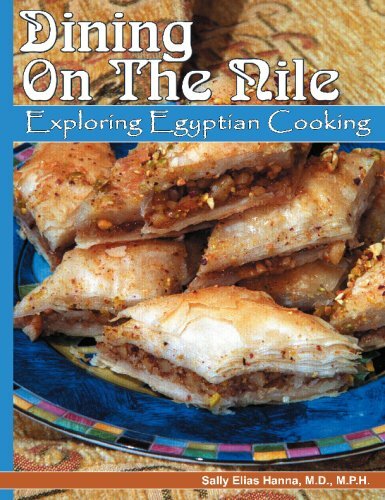 "Nile Style" is much more than a cookbook. Packed with deep research and excellent reporting of Middle Eastern cultures, celebrations and rituals, "Nile Style" is also a history book. Amy Riolo writes from her soul, pulling the reader into understanding lifestyles from all countries in the Mid-East and Northern Africa. As a marketing professional in the global coffee and tea industries, this book provides an historic education from ancient customs to modern day cuisine. Recipes are easy to prepare and open a new world of flavors to enjoy. Egypt is an ancient land of monuments and artifacts. It's also a country rich in distinctive culinary traditions that encompass food and dining as a fundamental element of both ancient and modern festivals, ceremonies, and celebrations. 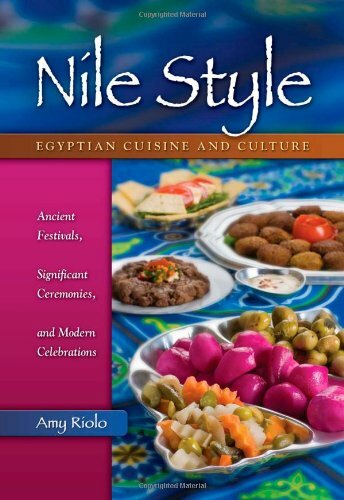 An internationally recognized culinary authority, food historian, and cooking instructor, Amy Riolo brings her many years of experience and expertise to bear when she compiled the recipes comprising "Nile Style: Egyptian Cuisine And Culture", a illustrated, 220-page compendium of superbly presented recipes that range from such exotic fare as Nubian Bread ad Hibiscus Punch; to traditional dishes like Lentils, Rice, and Pasta with Spicy Tomato Sauce; to classics like Egyptian Rice, Apricot, and Pistachio Pudding. The Egyptian names for each of the presented recipes is given along with the English translations of their names. Enhanced with the inclusion of a glossary of ingredients commonly used in Egyptian cooking, a 'Where to Buy' guide (including specific contact information for vendors of specialty ingredients not otherwise readily available), a tour-guide listing of superb Egyptian restaurants, an extensive bibliography, and a handy index, "Nile Style" is an enthusiastically recommended addition for personal and community library ethnic cookbook collections. Please put out the 2nd edition!! click on FB fan site! She put up a facebook fan site for part 2! Must mean she is gearing-up!! hooray! I must reply to the reviewer who gave this one star because of the price... Don't give a one star rating on the book just because amazon marketplace sellers are trying to take advantage of the fact that it is not in print. I was able to get a hold of the author (Sally) and pleaded with her to put out a second edition of this cookbook. She replied that she was considering putting out a second edition with ADDITIONAL RECIPES (WOO-WHOO!) but her time constraints have delayed it... I learned she is a practicing pediatrician... So she is much more than just "cook smart" LOL! Dear Sally, I am eagerly awaiting the second addition with the new added recipes!! I bought 2 of the 1st editions (gave one as a gift to a friend) and will buy at least four or five of your next addition to give as gifts because I will reap the benefits of tasting the delicious dishes when my friends make them! So please Sally... Get to work on the second edition!!! LOL!!! I've been hearing so many wonderful things about this cookbook and was searching to purchase one new or used.Once I saw the price that these sellers are asking: $149.99 PLUS SHIPPING! Thieves that's all you are. looking to make a rediculouse profit off a great book. Shame on you, what a rip off! I liked the homey feeling of this cookbook but have not actually cooked anything from it. 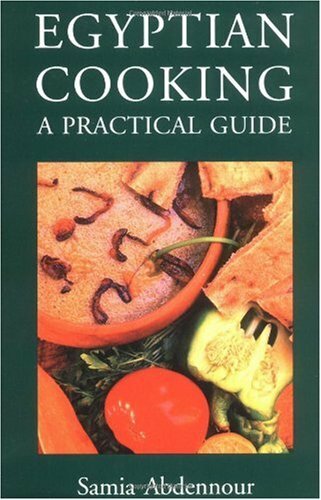 Being Arabic American - this book does have most of the recipes I grew up with. I do plan of using it one day but I thought the book was very well put together. The minute I got this book I made one of my favorite recipes for Koshari.There are many different versions of this dish but this was the only book that had the version that my wonderful husband's mother makes.Mine isn't as good as hers...but...wonderful.Overall, this book is well rounded with recipes of Egypt.And thank you for the apricot pudding recipe...I've had it once when I was in Egypt and the author is right...once you have it you will never forget it and will often dream about it.I hope I can do her recipe justice. 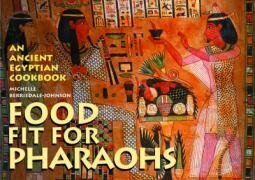 The best egyptian cookbook ever! My husband is Egyptian and I was looking for a long time for the most authentic easy to follow book with pictures - I found one! 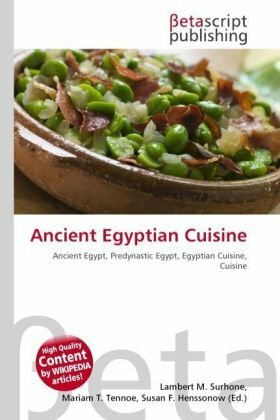 This book has the best Egyptian meals ever, my husband says that my cooking tastes even better than in Egyptian restaurants and ingredients and methods are just amazingly right and easy to follow. I strongly recommend this book to anyone who wants to taste a true Egyptian cuisine, great collection, excellent pictures and perfectly correct recipes. I live on a farm in Egypt and love the Egyptian country cooking. This encompasses a lot more than the items that are usually found in Egyptian cookbooks and this is the first cookbook I've found that covers recipes for the most down home items in a village repetoire. There are recipes here that my Egyptian friends don't know. I have a copy of this book and have bought it for friends here in Egypt and abroad. Wonderful book. I'm married to an Egyptian (and am not Egyptian), so I've been collecting Middle Eastern cookbooks for some time.I was quite excited to find "My Egyptian Grandmother's Kitchen" because it is a translation of an award-winning Egyptian cookbook.I guess I expected more from the AUC translation...as they did not really translate it for a non-Egyptian market. 1. Photos of nearly every recipe.A definite change from most Middle Eastern cookbooks, including Claudia Roden. 2. Very authentic recipes...although some may be too authentic for the average American.Tripe, brains, spleen, tongue, etc. are all included. 1. Not specific directions.Lists spice mix, but doesn't tell you how to make it.If you have a Middle Eastern market, you may be able to find some premade spices...but they vary based on Brand and the country of origin (Lebanese is not the same as Egyptian--although it's better than nothing. )Claudia Roden, Sally Elias Hanna's excellent "Dining on the Nile," and May Bsisu's "Arab Table" all can give you ideas of which spices you really need. 3. Some recipes include Arabic names, some do not.Some ingredients are translated (often poorly so, making things more difficult), some are not. In general, I would not recommend this cookbook for the average American cook.Instead, I'd recommend Sally Elias Hanna's "Dining on the Nile. "For Lebanese cuisine, "Kibbee 'n Spice and Everything Nice" by Janet Kalush is easy and good. "The Arab Table" is more of Gulf cuisine and is excellent, although has very time consuming recipes.For Syrian Jewish cuisine, "The Aromas of Aleppo" can't be beat.And of course, anything by Claudia Rodin is fabulous. a lock of hair escaping that she would try, again and again and without success, to push back into her chignon.My daughter Marianne, who looks like her, has the same gesture of trying to push a lock of curly dark hair behind her ear. I smile as I watch the curl fall down in front of her eyes." I received the book as a gift for the 2007 Christmas. Rossant was able to skillfuly blend imagery, scents, and sounds into a portrait that rivals any treasured piece of modern art. Nonetheless, she couldn't help but overexpose her glamor. But why not? It's a glamorous picture, after all. Perhaps it's my Egyptian background that led me to sense some "us versus them" sentiment in her writing as, for example, in the relative positions of French and Egyptian Nuns in the convent where she was boarded as a school-age child, or the marginal portrayal of "upper middle class" Egyptian families vacationing in Switzerland. Perhaps this is the reality of Europeans escaping WWII Europe, circumscribing to themselves as many of us do when living abroad. There is no denying her friendship and love for many Egyptians that crossed path with her. In the final analysis, it's a well-written account of times and places that we all wish we had witnessed. This is a lovely little memoir with recipes. Colette Rossant is reminiscing about her childhood years growing up with her Jewish Egyptian grandparents in their mansion in Cairo during WWII. This poor little rich girl who was abandoned by her French mother, grew closer to the kitchen, and the cook Ahmed. Colette remembers many of the special recipes prepared by Ahmed and incorporates them into this nostalgic memoir of her childhood days. 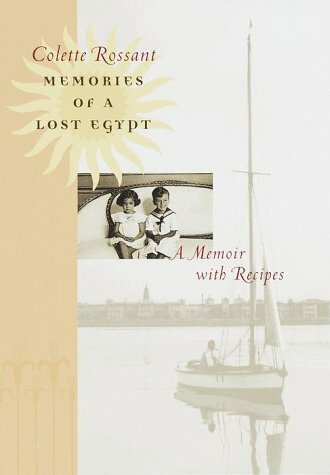 This is a lovely and sentimental memoir about the Egyptian belle epoque that also includes some savory Egyptian recipes with a gourmet twist. 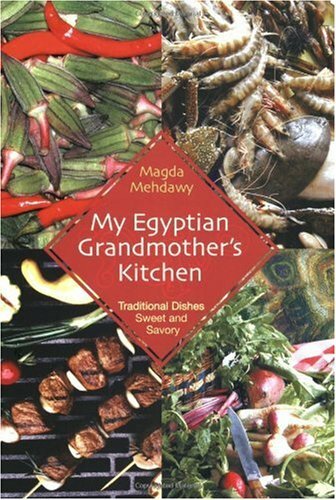 This book is not only charming but is beautifully written.I had tears in my eye as I read it.The recipes are mouth watering and I ran to buy some Egyptian ingredients to try the recipes. Colette Rossant gives an evocative picture of the life of a Jewish family during second world war. If you are like me, you enjoy reading cookbooks that are more than just compilations of recipes but also include evocative text that recreates another time and place. "Memories of a Lost Egypt" is such abook. The author's vivid and touching reminiscences of her childhood oftencenter on food and her relationships with her family's cooks, and sheskillfully interweaves her narrative with recipes for the delicious dishesshe savored and learned to prepare. Much more than just a soup cookbook this one!